Alcohol addiction is a serious problem, affecting individuals, families, and communities. Help is available for residents of Oklahoma struggling with this addiction. Call these free alcohol hotlines to get help and lead an alcohol-free life. Delphi Health Group is a healthcare provider that unites a huge network of alcohol rehabilitation facilities nationwide. The affiliated centers provide all kinds of treatment, including the medical-based, religious and holistic treatment services for alcohol addiction. Insurance covers most of the recovery options, as a rule. The hotline can be reached at (866)-520-2708. The medical professionals provide free and confidential counseling both for addicts and their family members any time of a day. The Oklahoma Department of Mental Health and Substance Abuse Services is available around the clock to provide information, support, and treatment referrals to callers struggling with alcohol addiction. The Department also provides special coaching and educational services for teens and young adults with alcohol problems. Call the Department’s alcohol hotline number 800-522-9054 (V/TDD) to connect with treatment services and support groups in the state. Contact the local Department of Rehabilitative Services at the 24-hour alcohol hotline free number at 800-888-9383 to get information on alcohol abuse treatment. The department provides assistance, support, and access to rehabilitative services to clients on the road to alcohol recovery. 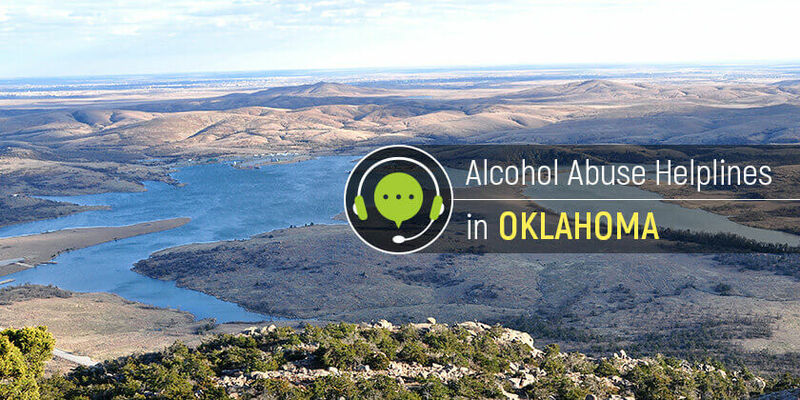 Lead an alcohol-free life: Dial these alcohol help hotlines to access alcohol treatment and rehabilitative services in Oklahoma.